We strive to provide a wine that we can be proud to serve our family and friends, old and new. Our passion lies in the love for good wine, the love of family, and the time we spend with friends and in our home, where there is always room for one more dog. Our growing collection of distinctly unique wines reflects the authentic expression and scenic wilderness found throughout Idaho's Lewis-Clark Valley. Check back soon for more selection. Our Two Bad Labs Riesling is refreshing on a hot summer night or enjoying some time with friends. The grapes for this wine were sourced locally and show the minerality of our terroir. It has bright flavors with some acidity, making it the perfect accompaniment to seafood, smoked meats and cheeses. Our Winelights Regal Red is a special blend that was developed with our partners in Walla Walla. The blend brings about a very soft start to the palate attributed to its Syrah foundation, but follows with wonderful spicy tones with are recognized in the supporting cast of Cabernet Franc and Petit Verdot. Two Bad Labs started with a dream, which in time became a reality. We came to the L-C Valley because of a job transfer, although we had previously visited. We had made a trip through the area 25 years prior, fell in love with the region, and dreamed that one day we would be able to move here. Along the way, we raised our two children in Newberg, Oregon, after living in Portland for many years. 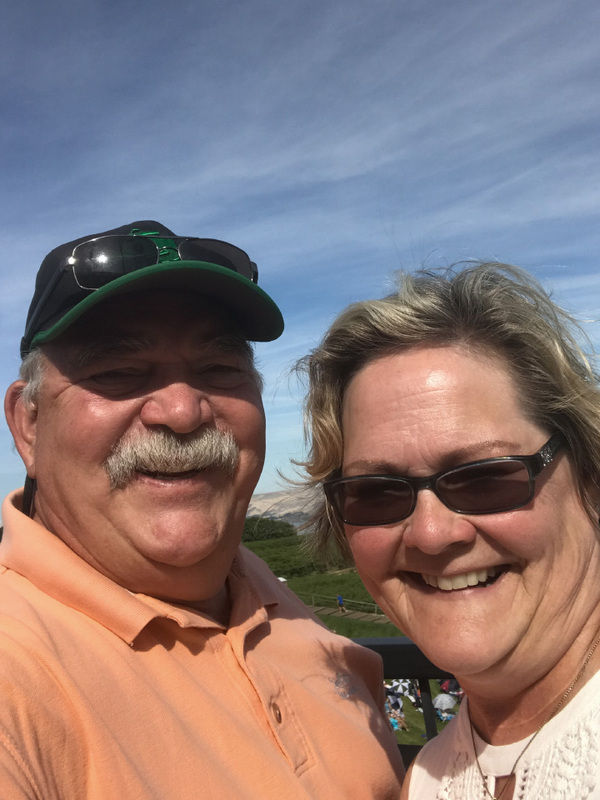 Living in Newberg, with the blossoming Pinot Noir vineyards and wineries in the early 90s, we grew close to winemakers and vineyard owners, whom we are blessed to call our friends. Although we loved the idea of owning a vineyard, we lived on a mountain, where it just wasn’t feasible to plant grapes. The year 2011 found us in the L-C valley. Our dream had finally come true! After learning of Lewiston’s rich history, we saw the opportunity to grow grapes here. With little knowledge of enology or viniculture, we began planting in the fall of 2012. We have always had an assortment of animals. Our first dog was a mutt we adopted from the Oregon Humane Society. Over the years, we have rescued dogs, cats, rabbits, goats, sheep, chickens, and even a llama! Currently, we are the proud parents of five Labrador Retrievers—four of whom are rescues. Having multiple labs led to our discovering that two are continually getting into some kind of mischief. Lo and behold, Two Bad Labs Vineyard was born. We raise a glass of wine to our family and friends who have helped make this entire venture a reality and of course to our four-legged friends who were integral to this fantastic journey. Have questions or want to come by the winery? Drop us a line or schedule a visit. We'd love to pour you a glass and show you around.